La Purisima Hole 1: The first hole is one of the most benign on the course, but that doesn't make it easy. The prudent drive will stay short of the lake on the right and the second shot must leave a good angle to the narrow green snuggled between bunkers; this green's heavy break is typically of many on the course and is tough to putt. 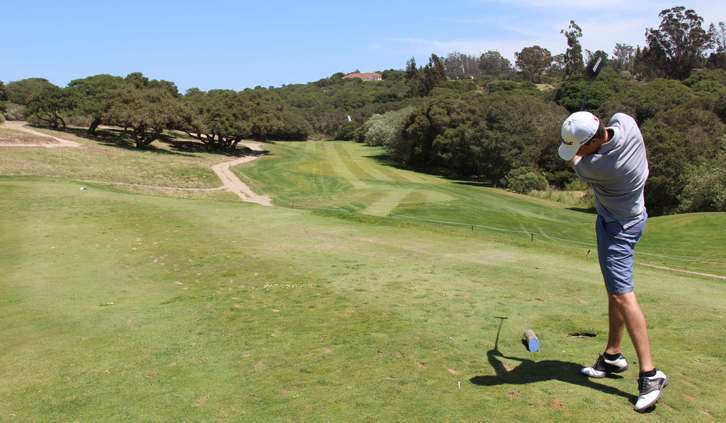 La Purisima Hole 2: This sweeping dogleg left features a seemingly wide landing area from the elevated tee. However, a lake lurks left to grab any shot that is too adventurous. The second shot is spectacular to a peninsula green with a memorable dead tree directly behind the green. Anything miss hit here will find trouble. La Purisima Hole 3: A fairly short par three, this hole place a premium on distance control. Avoiding the lake is obvious, but with wind being a usual factor, hitting the green, and not the bunkers in front on behind make a big difference. Also, with the green being very wide, some long putts can be had on this undulating surface. 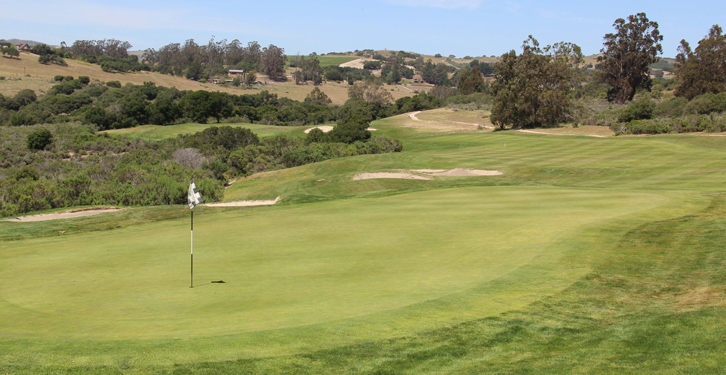 La Purisima Hole 4: Although there is water on this short dogleg left, it has a wide area for the layup but also may tempt the player to try to bomb one over the bunker to the far fairway. Either way, the approach is uphill and absolutely must miss the green-side bunkers. Any downhill put will also be very treacherous. 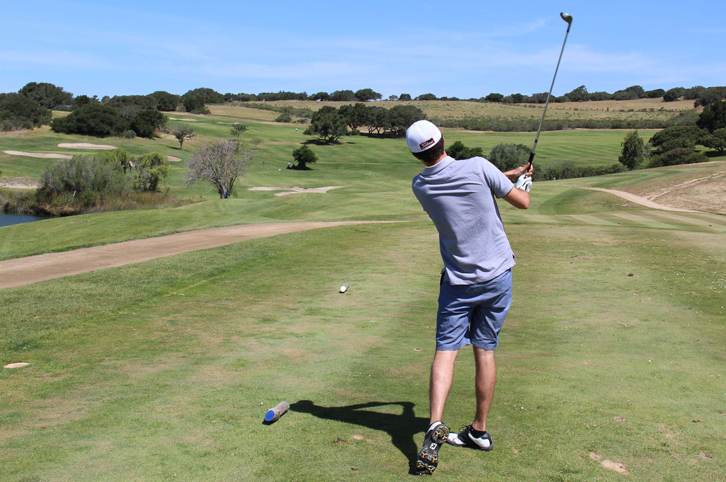 La Purisima Hole 6: The tee box here is elevated and gives the golfer a view of many other holes at La Purisima. The hole itself has a pretty easy drive and the second shot must steer clear of the large oak trees that pinch in around 100 yards from the green, on either side. The approach is then uphill to a very shallow green with a big bunker fronting the right side. However, going long is worse as the pitch of the green is severe. La Purisima Hole 7: This dogleg left features the WTF (where's the fairway) moment of the day as you can see the green way off to the left and a fairway right, but what lies between is trees and elevation changes. Long story short, this is a tough tee shot and the approach is no bargain either, as it is uphill to a green that is fronted by a bunker and features a large bump in the middle that makes putting tough. 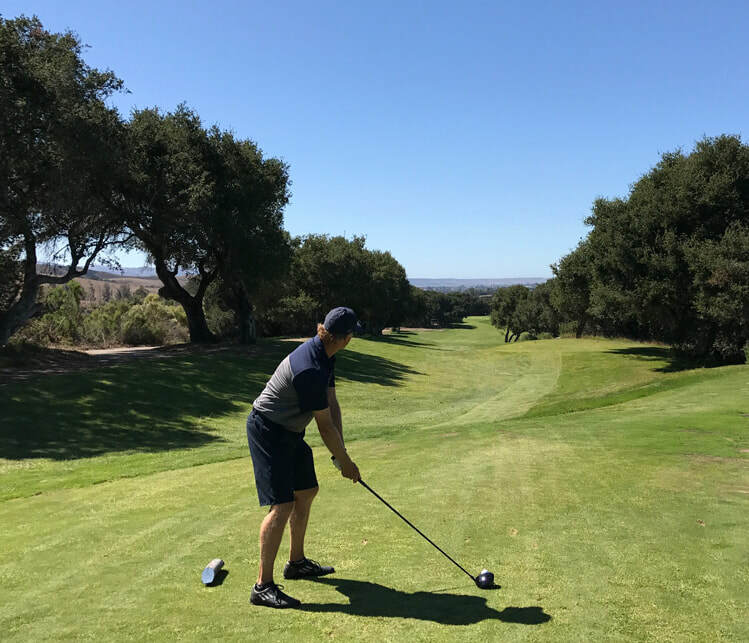 La Purisima Hole 8: This downhill dogleg left isn't too tough when there is no prevailing wind as the driver can challenge the bunker and leave a wedge to the green. But, when the usual wind blows, the hole becomes a lot harder as it plays longer and the green is surrounded by sandy trouble. La Purisima Hole 10: This long par four needs a big drive but there is a dry creek that cuts across the fairway. It is only reachable with a huge drive, down the left side, but it is technically in play. The green is very long and very narrow, so check the pin placement and then the shot must be very accurate as well. La Purisima Hole 12: A true 3 shot par 5 at 609 yards. The tee shot is pretty over a lake that does not come into play. A large oak tree in the middle of the fairway must be avoided on the second shot to provide a short or mid iron to a green nestled back up against a hillside. 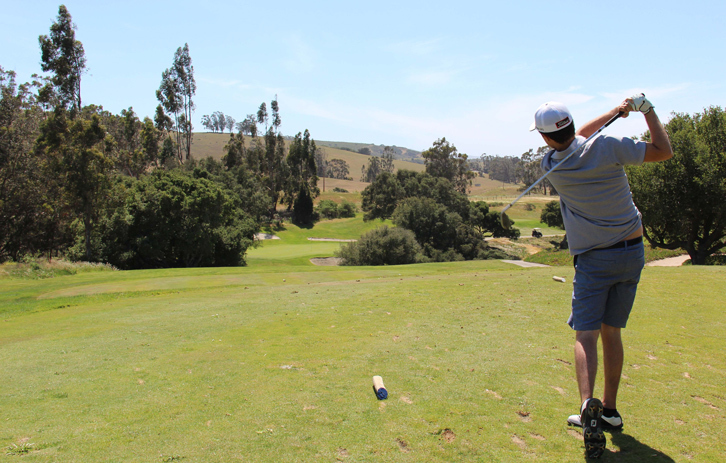 La Purisima Hole 14: A short, but impossibly tight dog leg left par 4 demands extreme accuracy on the tee shot. Anything pulled will leave an approach shot blocked by trees and anything that goes right or is hit too far will tumble into the hazard. The approach is then uphill over a very deep bunker to an undulating green. La Purisima Hole 15: An interesting par 5 that forces a lay up or absolute perfection off the tee (to avoid a string of bunkers at the end of the short grass on the left side). The second must carry part of a canyon with the more gutsy shot cutting off more of the hazard, but leaving a shorter approach to the narrow green with 3 bunkers. La Purisima Hole 16: Long and unforgiving, this par four is downhill but is tight with trees seemingly everywhere. The green is very tightly guarded by trees and sand as well. It also normally plays into the wind. La Purisima Hole 17: This downhill par three is usually into the wind and has a very shallow green. Things short or left will likely find hazard and anything long will leave a downhill chip or sand shot. 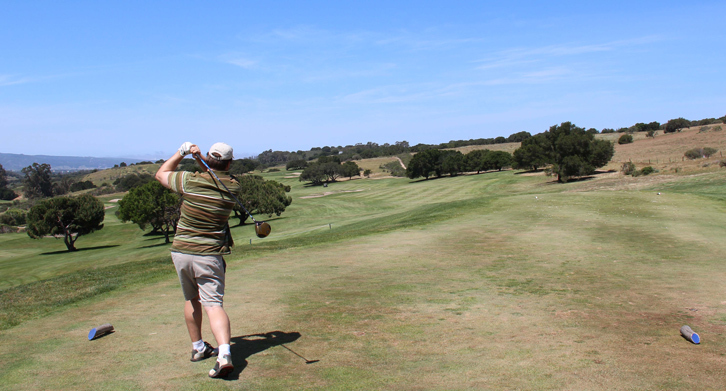 Read More Central California Golf Course Reviews.